The neighbors agreed to boost regional auto content for tariff-free trade. Now Ottawa will rejoin the talks. Hurdles like dispute panels remain, and Trump’s fresh outburst at Canada will make it hard to close the pact this week. Approval by Congress also isn’t a slam dunk. 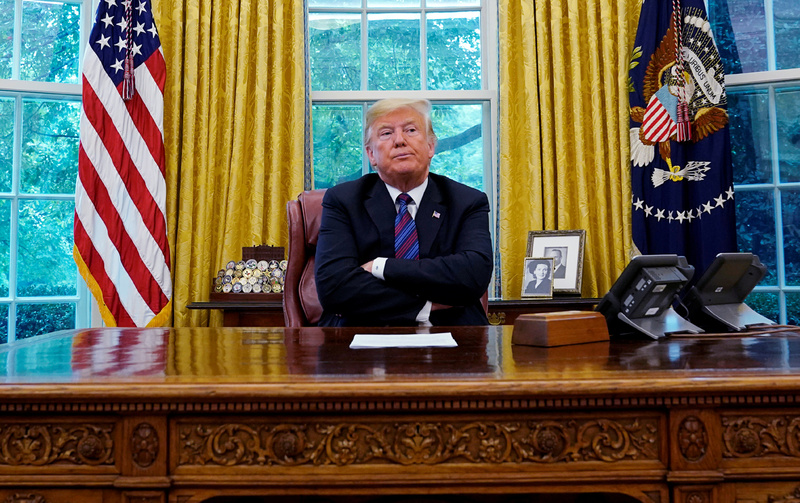 U.S. President Donald Trump talks via speakerphone with Mexican President Enrique Peña Nieto as they announce a bilateral deal to replace the North American Free Trade Agreement (NAFTA) at the White House in Washington, U.S., August 27, 2018. The United States and Mexico said on Aug. 27 that they have agreed on updated auto rules of origin as part of a renegotiation of the North American Free Trade Agreement. U.S. President Donald Trump tweeted that a “big deal” was looking good with Mexico. The two parties agreed to raise the amount of regional content needed to qualify for tariff-free trade from 62.5 percent to 75 percent. They also agreed to a minimum 40 percent to 45 percent content-level requirements for vehicles made by workers earning at least $16 an hour, compared with the average $8 an hour pay for auto employees in Mexico. The United States and Mexico have been holding bilateral talks for several weeks since Andrés Manuel López Obrador was elected the next president of Mexico on July 1. Canada has planned to rejoin the talks after the U.S.-Mexico issues were resolved. The United States has also proposed a five-year sunset clause and elimination of dispute panels, which Canada and Mexico oppose. The United States also wants Canada to roll back its quota system for dairy imports. The Trump administration is seeking to conclude an agreement this week so the revised pact can be ratified by Mexico before the current president, Enrique Peña Nieto, leaves office at the end of November.